Legacy Of These Greatest NBA Stars Comes To An End- A Brief Look On Their Decade Long Careers. 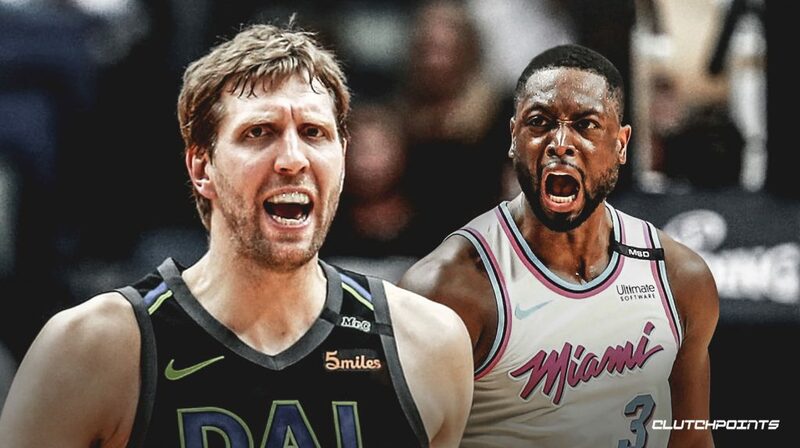 NBA’s penultimate night of the regular season was set up into a celebration ground, with seeding still to be decided in seven playoff matchups, while two future Hall of Famers, Dirk Nowitzki and Dwayne Wade presumably played the final home games of their decorated careers on the slate. 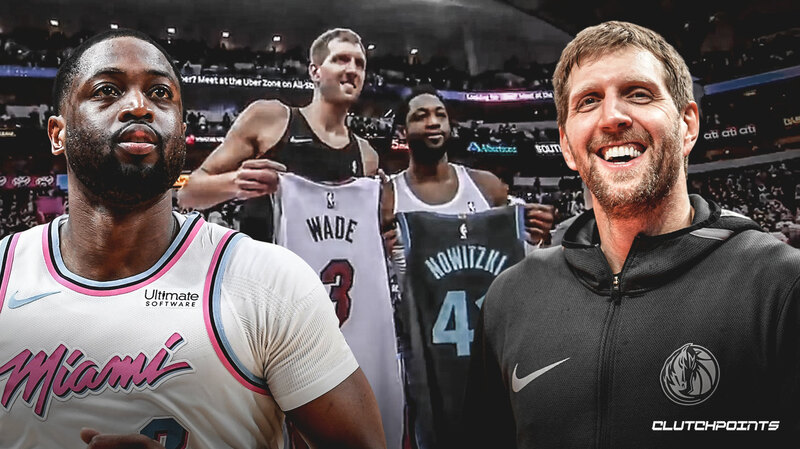 It was the last time that NBA fans would see Dwyane Wade in a Heat uniform in Miami, and Mavericks legend Dirk Nowitzki treating the fans at American Airlines Center to one last show finally retiring after 21 seasons. Before their final showdown, both these legends showed their respective home crowd that they can still ball. The German 7ft tall big man, Dirk Nowitzki poured in a season-high 30 points in the Mavericks ‘120-109’ victory against their old rivals, Phoenix Suns. While Wade and Miami Heat had their outing against the Brooklyn Nets and the man they call “Flash” did not disappoint. The defining player of the Miami Heat’s 32-year history went to score 25 points, 11 rebounds and 10 assists to become the oldest player in NBA history to record a triple-double in Game No. 82 of the season. Let’s take a look at the final stats, feats, accolades and where the 2 legends stand in NBA history. Dirk Werner Nowitzki, the 7ft tall German basketball legend will step away as the best European to ever play in the NBA and a game-changing big man who forever altered the way the sport is played. The 40-year-old hasn’t been in his prime form since the last couple of seasons while all these career-low marks haven’t stopped fans in opposing arenas and Dallas from greeting him with standing ovations and gratitude throughout the 2018-19 campaign. He dedicated his entire 21 year National Basketball Association (NBA) career for the Mavericks. The standing ovations and the warm welcomes are certainly shown as a sign of respect, given his career accomplishments and the legacy he has cemented in NBA. 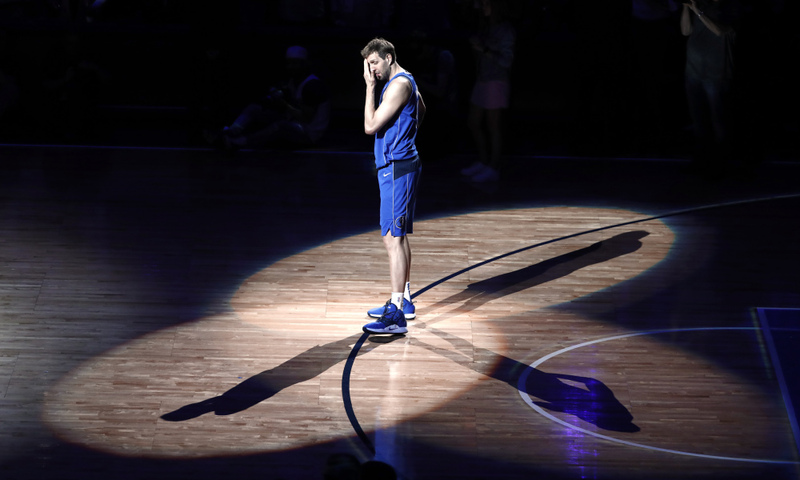 Dallas Mavericks forward Dirk Nowitzki fights back tears as he stands on the court listening as former player pays tribute to him in a ceremony after the team’s NBA basketball game against the Phoenix Suns in Dallas, Tuesday, April 9, 2019. He’s known for his scoring ability, his versatility, his accurate outside shooting, and his trademark fadeaway jump shot which makes him the only player ever to play for a single franchise for 21 seasons. 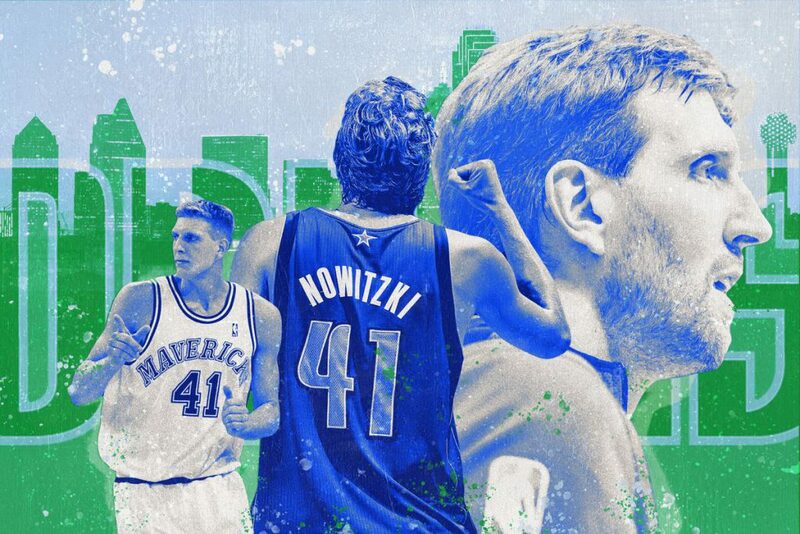 Nowitzki’s NBA career has been filled with accomplishments. 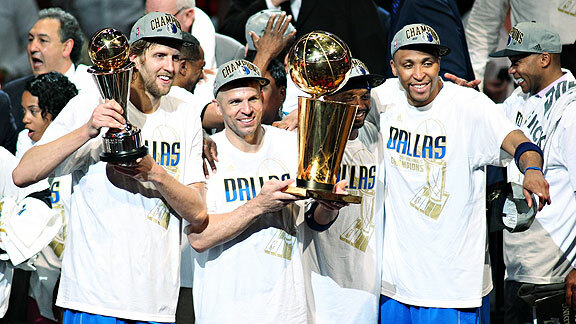 Nowitzki was the 2006-07 league MVP, the 2011 NBA Finals MVP, a 12-time All-NBA team member and a 14-time All-Star. He led the Mavericks to victory over Miami Heat, featuring Lebron James and Dwyane Wade in the squad of 2011 Finals. He’s led Mavericks to 15 NBA playoff and franchise’s first Finals appearance in 2006 and its only NBA championship in 2011. His international career is also noteworthy as he led the German National Basketball Team to a Bronze medal in 2002 FIBA World Championship and Silver in EuroBasket 2005 and was the leading scorer and MVP in both the tournaments. Earlier this season, the German star moved up to sixth on the NBA’s all-time scoring list behind only Kareem Abdul-Jabbar, Karl Malone, Kobe Bryant, Lebron James and Michael Jordan. There was no surprise that this would be Wade’s last season. The Heat guard made it abundantly clear last season that this would be it for him, and turned this season into celebration tour. Everywhere he went, he got standing ovations, took pictures and swapped jerseys. 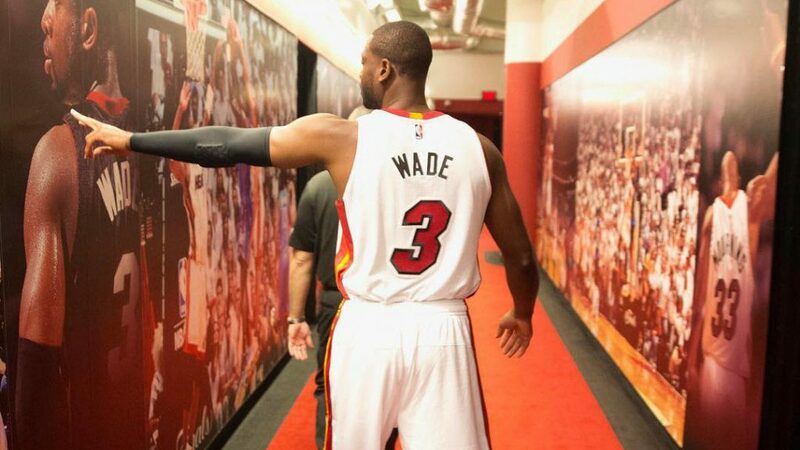 The American former shooting guard has played a majority of his 16-year NBA career with the Miami Heat. 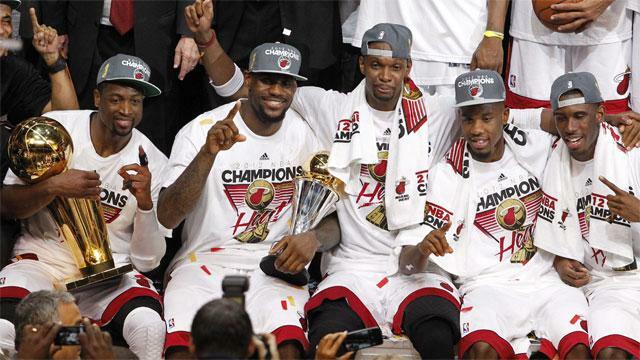 Wade led heat to their maiden NBA championship in franchise history and was named the MVP in 2006 finals. Wade is regarded as one of the best shooting guards to ever play the game, he’s won three titles with the Heat, partnered with LeBron James and Chris Bosh to form one of the best trios of all-time. A 13-time NBA ALL Star, Wade is Miami’s all-time leader in points, games, assists and steals, shots made and shots taken. His international career can’t be ignored as Wade led the United States at the 2008 Summer Olympics and clinched gold and at 2004 Summer Olympics he helped the USA grab the Bronze medal. The next stop for these icons is the Hall Of Fame. Previous articleXplore Flashback: 2 Most Enthralling Encounters Between Manchester United & Barcelona. Next articleHistoric Upsets By Underdogs In The Champions League.